Bandanas to protect the baby from the moisture of their dribble. 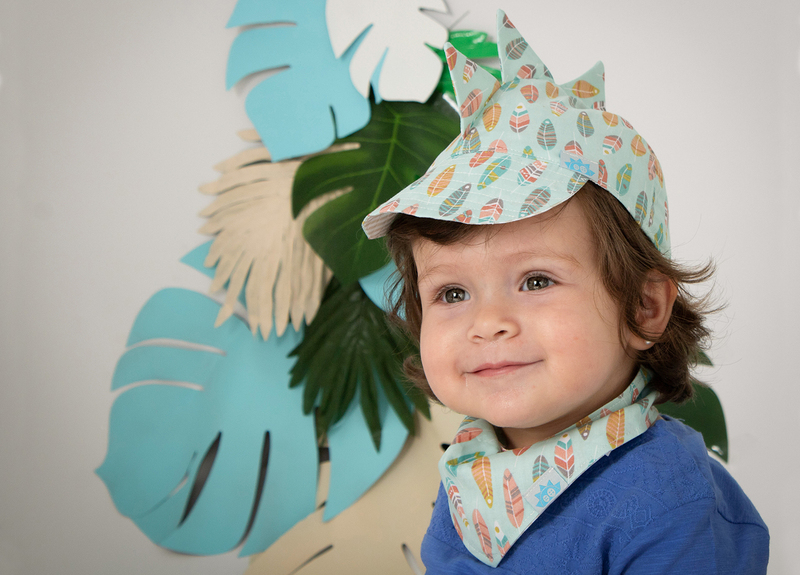 Pack of two reversible bandanas in 100% cotton fabrics. 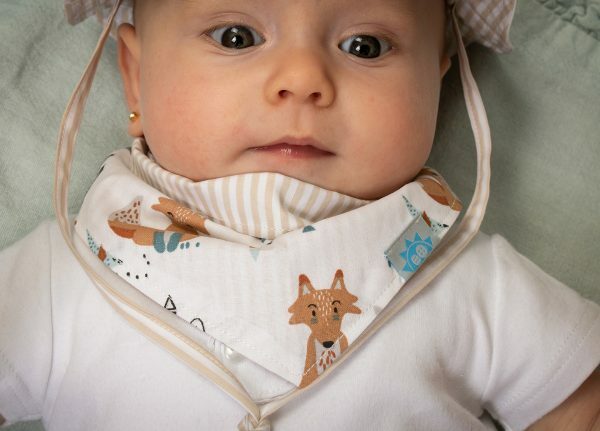 Pattern with motifs of fox and cactus on white color and colored feathers on mint color on one side and stripes in beige and white on the other side. Press stud fastening adjustable in two sizes. Handmade in Spain.